It sounds like something well worth reading and I am definitely going to try to get my hands on a copy! They don’t seem to have a Kindle copy yet. The paperback is on sale at a specail reduced price of £17 to members of The Arthur Ransome Society. Do you have a collection of books about Ransome? Have just read your foreward to the book ( tick v.g. as Tom Good would have said ) and also chapter 4 – Winter Holiday , as printed on the Lutterworth Press website . I was most impressed by the depth of understanding , even the way he notices the use of the word `Softly ` when talking of the night snowfall . So glad you enjoyed the forward to ‘Swallows, Amazons and Coots’. Do please add comment on the Amazon site once you’ve finished the book! 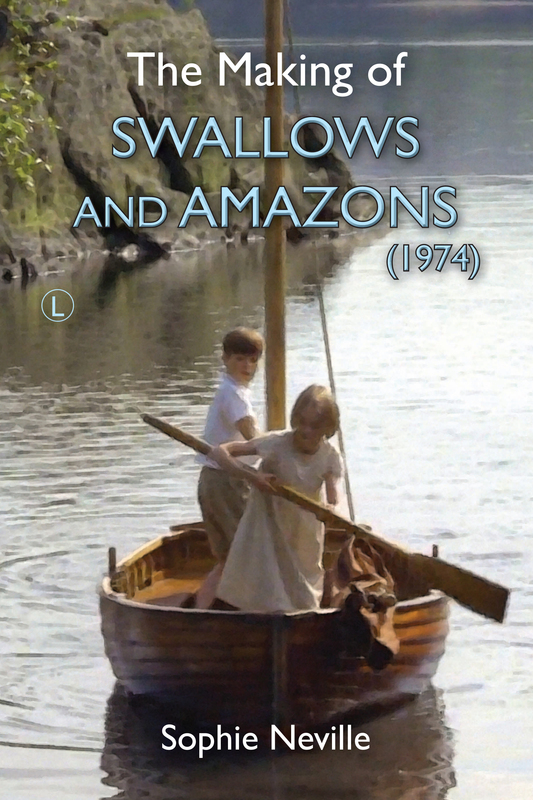 I’m about to launch a second edition of my ebook on ‘The Secrest of Filming Swallows & Amazons’ in 1974.and used a few references from this more academic woork. My copy , as we speak , is still `in the post` and I may well post comments when I have read it . I await your new ebook -revised `Filming of S and A` and wonder if `Swallows , Amazons and Coots will also make it to ebook status . Do you know if this is likely soon ? I do hope so . Yes, ‘Swallows, Amazons and Coots’ will emerge in ebook form,although I am not sure when. We have been working hard on the 2nd Edition of ‘The Secrets of Filming Swallows & Amazons’, which I HOPE will be launched tomoorow! How interesting! Very many thanks for your support! I hope you enjoy the 2nd edition. It is free for anyone who already has an ebook – you can just reload. We published it today but I think it takes about 24 hrs for it to be checked and available on the site. Please let me know if you spy any typos!